Since many years CAT is a reliable supplier of ANPR systems and customer-specific software in the context of electronic toll collection. Whether this demands stationary systems or mobile enforcement units that require the integration of additional system components (e. g. OBU reader) CAT has the know-how and experience. 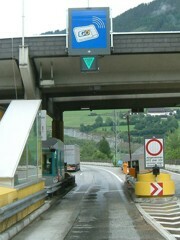 Video Toll is an efficient system for toll collection. 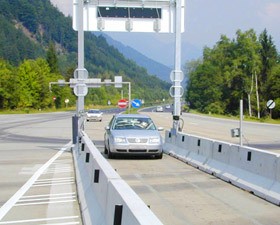 In Austria the licence plate numbers of the participants are captured by special infrared cameras and then matched with a database. The recording of the licenence-plate numbers is activated event-driven (e.g. loop detectors or light barriers). After a successful introduction of the system in form of single toll lanes, many other toll lanes were equipped with the same technology in the meantime. Right now CAT’s ANPR technology is successfully in operation at more than 150 sites within the truck toll and video toll (‘Videomaut’) systems in Austria. The OCR algorithm used in those systems is proven and tested and optimized regarding reading rate and speed. The recognition of all european licence plate numbers is part of every V-REX ANPR system.